Some of you may remember that I found the perfect affordable eye cream from By Nature from New Zealand, which I picked up in TK Maxx. Click here if you missed it! 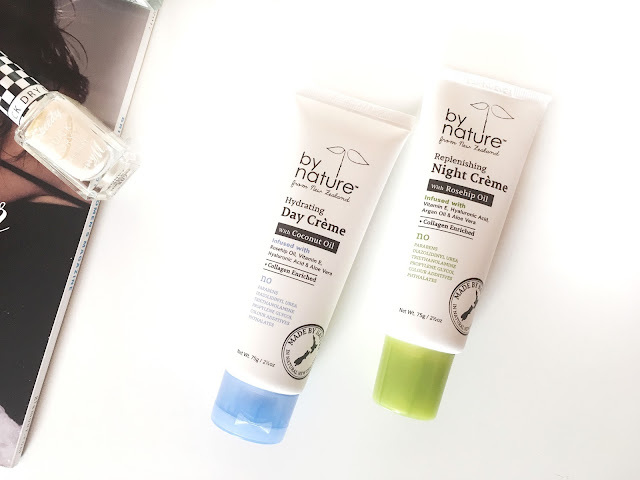 On my quest to try more products from the brand, I also found the Hydrating Day Creme and the Replenishing Night Cream, which I picked up for around £6 each. 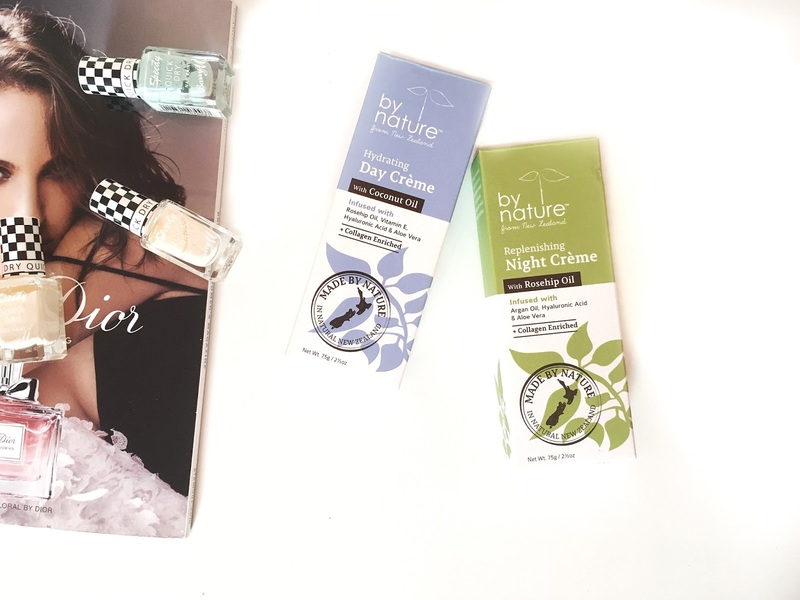 By Nature from New Zealand focus on simple products that work, their products are free from parabens and preservatives! They also don't test on animals, so it's a great cruelty free option. The hydrating day creme is infused with Rosehip Oil, Vitamin E, Hyaluronic Acid and Aloe Vera to deliver intense hydration that lasts all day. On paper, this sounds perfect for someone with dry skin like me, however I'm not completely sold on this one as I'll explain. First of all, it has quite a thick formula, and hence why I think it's more for normal-dry skin. I think those with oily skin might be a bit overwhelmed with it. When you massage it in it does go on well, and whilst it doesn't sit on the skin, my skin still feels a bit tacky from it. Some people might prefer that for a makeup base, but I'm not a huge fan. However, after a bit the tackiness does go away. Secondly, the main reason I'm not sold on this is because it's labelled as a hydrating creme, but I feel like the replenishing range is actually more hydrating! The replenishing range is lighter, but I feel like it absorbs instantly and my skin sort of drinks it up! This isn't to say the day creme is rubbish, it still gives a really smooth and soft base, but I don't find myself reaching for it very much. Those with very dry skin might still like to give it a go as it can be quite smoothing. I should also point out it does have quite a strong coconut scent when you first apply it, and again this does put me off a bit. The replenishing night creme is infused with Argan Oil, Hyaluronic Acid and Aloe Vera to help restore lost hydration. So the only difference between the two ranges is the give and take of Argan Oil and Vitamin E.
However, I find the replenishing night cream has a lighter formula. It's not runny, but my skin just absorbs it in instantly, and I love how hydrated my skin looks and feels! There's no noticeable scent to this one, and I would say it's quite versatile. I can layer it over a serum or facial oil, or I can just put a good amount of it on, and it keeps my skin well hydrated throughout the night. Infact, if I'm at home, I sometimes prefer just going in with this one. I don't use it every night as some nights I just go in with an exfoliator and oil, so I can't say I've seen any long term results from either of the creams. However, I would say this one is suitable for all skin types, as it's not heavy, and also all skin types can be dehydrated! In terms of packaging, they both come in squeezy tubes, which I guess is best for hygiene reasons. They also both have a generous 75g which is good value. You can buy them directly online from the By Nature website, however since it is Australian based I think shipping would be significant. Overall, I did prefer the Replenishing Night Creme from this duo, and it is one that I would probably repurchase if I found it again. 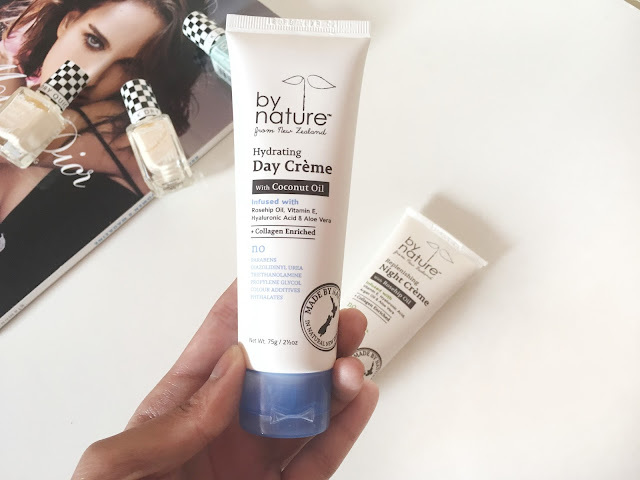 However, I'm not too sure I would repurchase the Hydrating Day Creme, also because there's so much choice in the market for moisturisers, so there's always that itching to try another. I also wear a good amount of serum underneath my moisturiser every day, so I don't need a really heavy moisturiser too. I hope you enjoyed this post! What are your best skincare finds? Thanks for sharing this brand. I always like to find non harmful skin care and will definitely check this brand out. Currently not in need of a moisturizer as I have plenty but will definitely if they offer other products. I love finding gems like this in TKMaxx! I love that this brand is cruelty free, i'll have to look out for it. Wow the hydrating creme is really intense! Such a shame it didn't work out well for you, I have a feeling it won't fit my skin too well too. I'm personally a fan of Rosehip Oil and so far I've only had argan oil on my hair before. Maybe I'll give it a go when I see this on the rack in Malaysia. I think you would like the replenishing creme! It's such a shame that I haven't ever found any of these in my TKmaxx as I really want to try them out. That day cream is intriguing me I must say, the one thing that's putting me off is is the scent of coconuts.. I've not heard of this brand before or these products, but they look good! New brand to me too. The night cream sounds amazing. 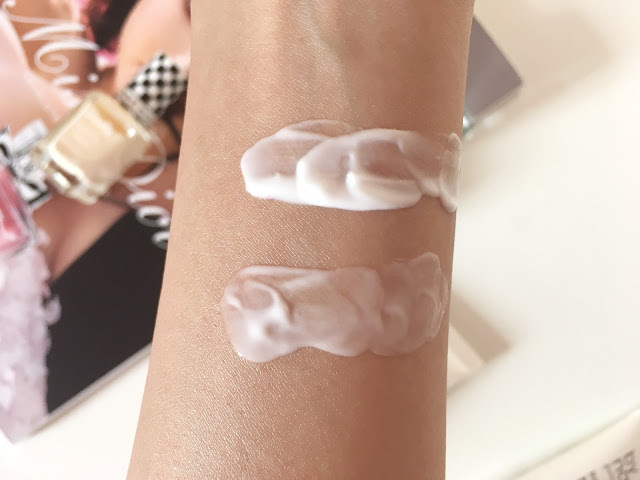 The hydrating cream has three ingredients that I love at the moment, aloe vera, rosehip oil and hyaluronic acid and sounds promising, too bad it didn't work for you. I have just been browsing TK Maxx skincare selection, they always have some great new brands to find. I haven't seen this one around though. Ooh I'd love to see if you pick up anything nice! That you for sharing a brand that doesn't test on animals! Can't wait to check out their stuff! I really think you would like it! I haven't heard of this brand before but the night cream sounds good. And I totally agree with you, there's so much moisturizers in the market for daily use. We're really spoilt for choice, aren't we?! These products sound really good, I will have to check them out as I love finding new skincare that works! Same here, it's such a satisfactory feeling! I've heard great things about those! TKMaxx is a goldmine for discovering new products, I often find I'm swept up by beautiful packaging and sweet smelling beauty products. The price of these products is good and I'm always on the hunt for a decent night cream. Aww thank you for your comment! 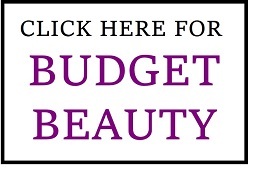 I love checking out their beauty products too, although it is getting harder to find some nice cosmetics! I'm so curious to try products from New Zealand but shipping can be quite hefty :( The Hydrating Day Creme sounds amazing since I'm a sucker for both coconut oil and hyaluronic acid anything, but it's a shame it seems to be made for drier skin types. I'm oily AF (excuse my language) so it would probably not make things easy hahha. The ingredients sound amazing, I love rosehip oil! Could never find anything in TK Maxx when I was home! 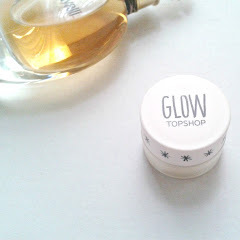 I am finding more skincare goodies, but rarely any beauty products anymore! The night cream looks amazing! I love the packaging and it sounds like a nice product - it's a shame about the day cream though. 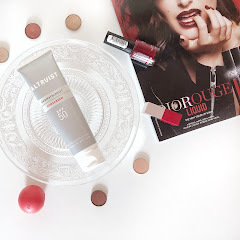 I love products that are free of parabens & nasties, even better when it's also cruelty free. I haven't heard of this brand before but sounds nice. The day cream definitely sounds to heavy, not a fan of thick creams even though I have dry skin but the day cream sounds great! 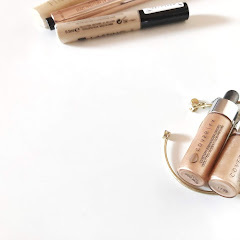 I'm the same, I think thick creams just overwhelm your skin and don't really benefit it a lot! First time hearing of this brand, but I like the sound of the night cream. The ingredients are all wonderful too! Thanks for sharing! 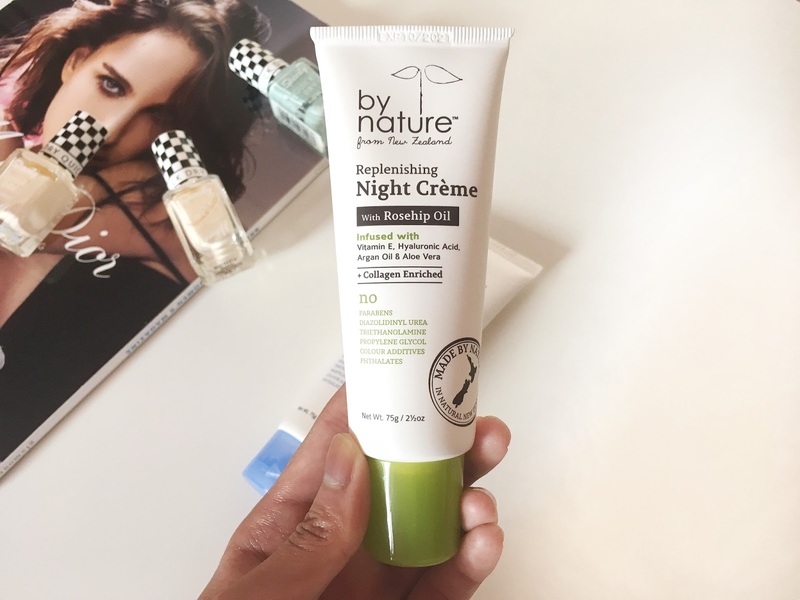 This sounds like a great cruelty free brand; the night creme sounds brilliant as it's infused with argan oil - such a brilliant all-purpose ingredient! I've never heard of this brand before but these two products sound gorgeous, I wouldn't mind giving them a try. I've actually have not seen these yet, so thanks for the review. Pity that you did not like the coconut smell in the day creme. I would give the relenishing night creme a try. 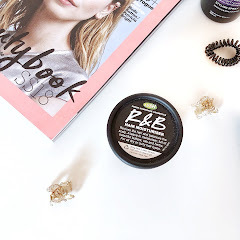 I am a skincare fanatic and they are just up my street.